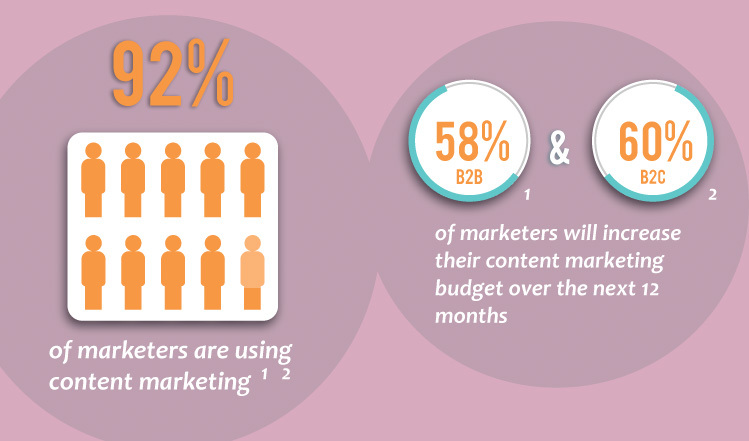 About 60% of marketers (both B2B and B2C) plan to increase their content budgets in coming months. With all of this content coming down the pike, the challenge facing businesses and marketers is clear: If everyone starts doing content marketing, how can my brand stand out? This was the topic of a Google+ Hangout last Thursday hosted by Eric Enge: “Thriving During the Upcoming Content Marketing Glut.” With Eric, guest speakers Peg Fitzpatrick and Marilyn Moore tackled this tough challenge for today’s small business owners and marketers. If like me, you haven’t used Hangouts before, think webinar — live broadcast with speakers appearing through webcams and audience members typing comments — but with easier accessibility. You can join the audience right from Google+, watch the live comment stream, and see the show again anytime on YouTube, where it’s automatically saved. Being part of the live show was actually exciting, there was a real sense of community in the comments, and I made some new G+ friends. 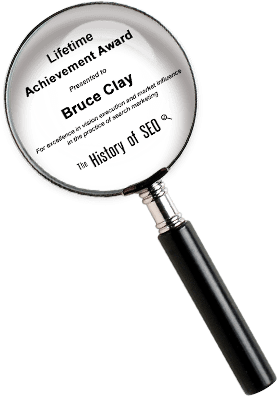 Here I’ve highlighted takeaways for content marketers from this episode of the Digital Marketing Excellence Show. Host Eric Enge pitched a slow ball with his opening question, “What is content marketing?” But the speakers (and commenters, especially Kirstin Hancock) quickly sped up the play. Draw people in: According to Peg, if you’re just talking about yourself and your company, people won’t be interested. Create stuff that interests others. Entertain: Peg pointed out that people go to Facebook and other social media sites during their free time. So be social and be entertaining. Be brand appropriate: Make sure your humor is appropriate for your company and brand voice. As an example, for a dry cleaning chemicals company, Peg mixes some science humor into the content. Between brands: When two brands collaborate about something on social media, it creates an exciting “live” form of content marketing. On Pinterest boards: Multiple people or businesses can all add items on a theme, and all get the benefit. Multiple team members: If you have several staff posting for a brand, Marilyn said to make sure everyone is on the same page with a uniform brand voice and messaging (even while having their own personalities). 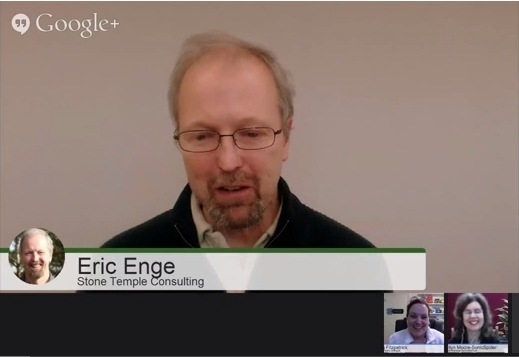 Partners: Eric mentioned that at Stone Temple Consulting, they partner with others to produce studies. It helps, he said, if the partners do not directly compete with each other. The best content marketing brings an audience into the conversation. But how can marketers build a community? Google+: You can literally start a “community” on this platform. Peg added that the way interaction flows on Google+ is better than on Facebook. Blog comments: People interacting on your blog posts builds a sense of community. Comment on others’ posts: Marilyn stressed that before you start posting your own content, you can start building relationships by showing interest in what others are saying by commenting on their posts. If you don’t develop an audience in this way first, no one will want to listen to you. Never stop listening: Interaction shouldn’t begin and end with you. Repost others’ content: Peg said to add some thoughts of your own at the top when you share a post. Be an expert: Eric referred to an article he just published stressing the need to “have a unique voice and some authority” when you start putting content out there. For example, teachers all teach the same material, but they present it differently. You want your target audience to read your content and say, “Oh, I get it now.” This concept is freeing for people who may not be at the thought leader level yet in their fields. Cite your inspirations: Peg keeps a running list at the bottom of blog posts she writes, citing all the articles she’s read on the topic that influenced her own content. Not just the sources she quoted, but also those that inspired her. Image sources have to be cited, too: You should give photo credits on Google+ images. Eric said that even stock photos you license usually need attribution, unless you’ve bought a higher level of permission. For example, Eric said Stone Temple Consulting negotiated a higher level agreement with Shutterstock after people started picking up they Pinterest images and reposting them. Pinterest images can’t be reused on your blog: Peg pointed out that this is a tricky thing, because on Pinterest everything seems to be “out there and free,” but it’s not. Hangouts: Have live conversations with people on Google+ and elsewhere. Google+ comments: Get ideas and even quote commenters in your posts. Repeat what worked before: Find older content that people liked and repurpose it in fresh ways. Answer questions: Ask what you would want to know, or look at customer inquiries. Then answer the question. 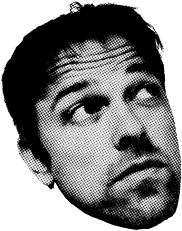 Clear up misconceptions: Eric said sometimes he hears things that are so off-base, it motivates him to sit down and write a post to set the record straight. Crowd sourcing: Generate ideas by asking a question and getting responses from a group. Jot down ideas when you get them: The speakers all talked about keeping a notebook or other thing handy to capture the ideas as they come to them, whenever they come. Keep this list of “seeds” that you can write about later. January 30th’s episode of the Digital Marketing Excellence Show with Eric Enge, Peg Fitzpatrick and Marilyn Moore can be viewed on YouTube. The most interesting part of the dialogue came at the end, when they discussed how a brand can find its voice for social media. The guests acknowledged that it took some time before they got comfortable conversing online. Here are their tips for settling into your “sweet spot” voice. You don’t have to be a bubbly extrovert online: Marilyn suggests that being personable is important, and you get better over time. She admitted that as a newcomer to social media she was too formal, and people didn’t connect with her very well. Be conversational: According to Marilyn, “I did need to loosen up and get more comfortable.” She did that by being conversational – not too heavy, not dumbed down, but just straightforward. Think about what you would like reading: If it’s interesting to you, then people following you will find it interesting, too. 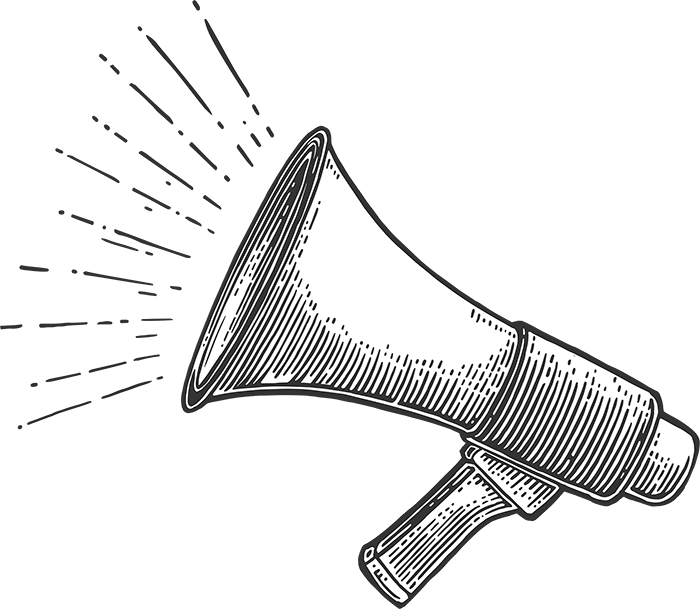 Choose three things to identify your voice and stick with them: Peg offered this super-practical tip — narrow down what your brand voice should be consistently, and mention them in your bio, reinforce them in your content (e.g., Peg’s three things are 1) social media, 2) marketing, and 3) positive). Introverts are not at a disadvantage: Social media gives introverts the opportunity to “just be on when you want to be on,” according to Peg. Eric, a self-admitted introvert, agreed and added that, “Who you are is a lot more than are you bubbly or not.” Getting comfortable with what you think and can say about a subject is a first step. Hangouts/videos are a challenge: Everyone is nervous at first about being on camera, but it gets easier. Jump into Google+ comments: Don’t be afraid to make the jump into comment threads (that Nike slogan came out again here). The small business owner’s perspective looking at content marketing might be “I don’t have time,” or “This was not what I signed up for when I went into business.” Marilyn said they simply don’t have a choice. Content marketing is “the name of the game now,” and businesses have to play the game by the rules. So she encouraged them to embrace it. Content marketing is “a wonderful opportunity to compete with companies of any size” that small businesses have never had before. Best of all, entry is free. Quality, quality, quality! Great tips — I’ll be implementing a few of these on my own site! Thanks! Amber: Glad you found it helpful! Its often exciting when ideas are shared from community members. The content marketing community is a vibrant one now and its not surprising that marketers have to Hangout in Google + to share experiences. Standing out from the upcoming content marketing glut is sure an experience many marketers would love to adopt. I have no doubt about the 7 points discussed on how to to stand out as content marketer in this post. 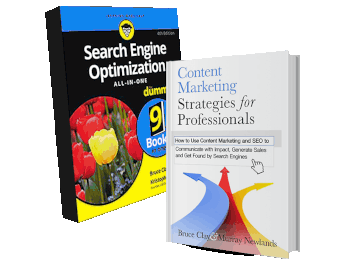 The details are worth applying by content marketers – whether newbies or experts!